Roger Dubuis has declared 2017 the year of Excalibur and rightfully so! The collection is expanded with several exciting new models, of which two are the result of a new partnership with Pirelli. It might seem a bit odd, why would a watch brand team up with a tire manufacturer, even with the esteem of Pirelli. However, both brands have a lot in common, as they are dedicated to the development of new and improved materials. This is also the central theme of the two watches that they introduced based on this partnership. 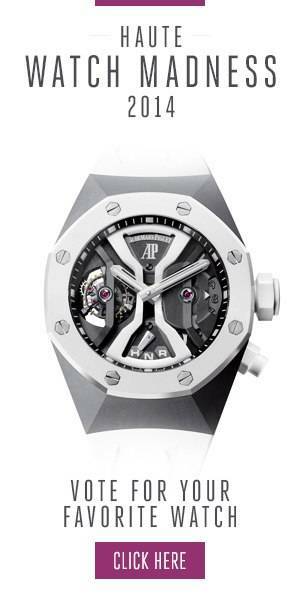 Only 8 pieces will be made of the Excalibur Spider Pirelli Double Flying Tourbillon. It is fitted with the new RD105SQ hand-wound calibre with the prominent blue Astral Skeleton, which matches the titanium crown and other blue dial accents. It also offers a nice contrast to the 47mm titanium case with black DLC-coating and the strap with vulcanized rubber from an Pirelli tire actually used on a F1 car. All 8 owners will also be treated to an exclusive 2-day VIP program by Pirelli. The same design can also be found in the Excalibur Spider Pirelli Automatic Skeleton, limited to 88-pieces. Unique about this watch is that despite its high-tech look, and incredibly refined skeleton movement, it still meets all the demands to carry the Geneva Seal. This ensures that the finish of the watch meets one of the most stringent requirements in the industry. Different materials can do a lot to how a watch looks. The Excalibur Spider Automatic Skeleton, featuring the same movement as the Pirelli version above, looks totally different when fitted with a rose gold case. The use of titanium, as well as the gray accents in the strap, give the watch however still a sportive edge. Truly innovative is the Excalibur Spider Carbon. This is the first watch ever to feature a movement plate, bridges and tourbillon upper-cage made from carbon. The T700 carbon that Roger Dubuis uses for this watch is very rigid, which limits vibrations and thus enhances the precision of the watch. This Excalibur is not only technically striking but also visually. The carbon case features a distinct pin-stripe pattern that also runs through the skeletonized bridges of the movement. Combined with the red accents, it results in an eye-catching combination.